This black tinsel wreath is adorned with Halloween print ribbon and mesh tubing. A glittery orange Jack O Lantern wearing a black mask sits in the center. 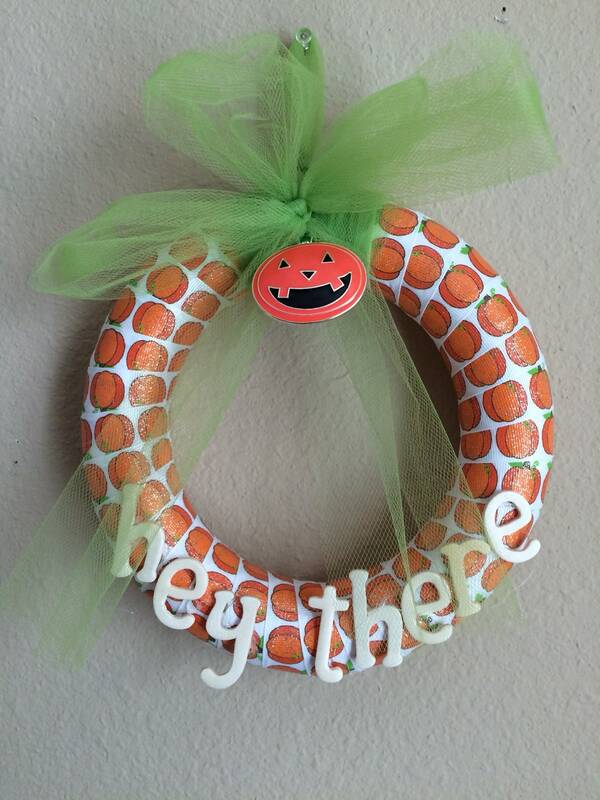 A pick of spiders and a candy corn and ghost pick finishes off this adorable wreath. Materials: foam ring, felt, ribbon, hot glue and sewing pins. Size: 10 inches by 10 inches and 2 inches thick. Colors: black, neon green, orange, purple, dark gray and white. Details: two pom pom pumpkins and nine felt pumpkins. A ribbon has been added for hanging. 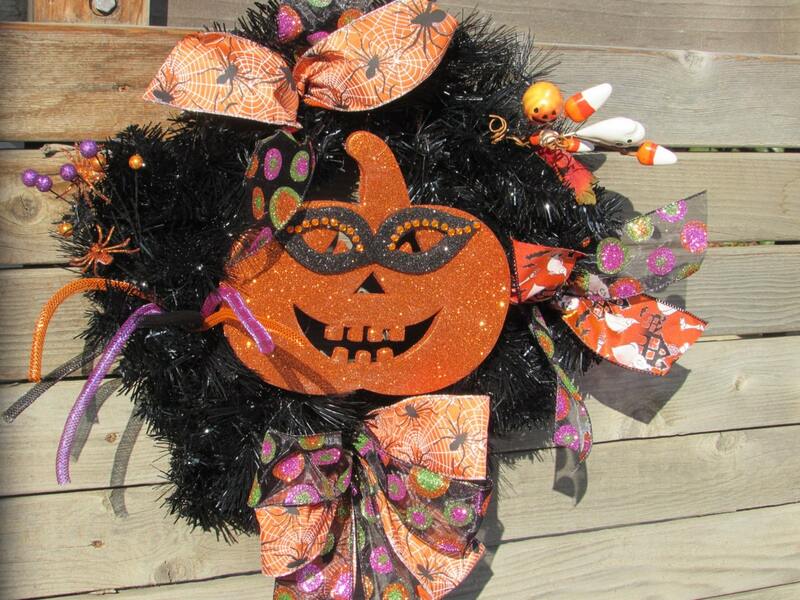 Designed for Halloween decorating, door decoration or a wall decoration. It’s that fun filled spooky holiday season again when we bring out the witches, skeletons, black cats, ghosts and more surrounding by pumpkins and haystacks. 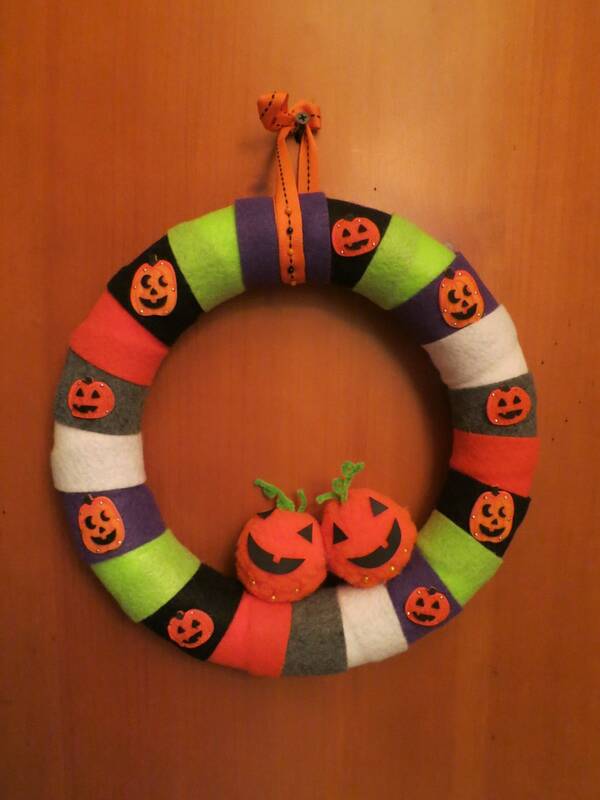 I handcrafted this wreath to capture th spirit of Halloween and welcome your ghostly visitors. This whimsical wreath is created with a wire base covered with artificial pine which is spray painted black. Then adorned with a few foam bats, spiders, halloween balls and bright orange mesh ribbon. 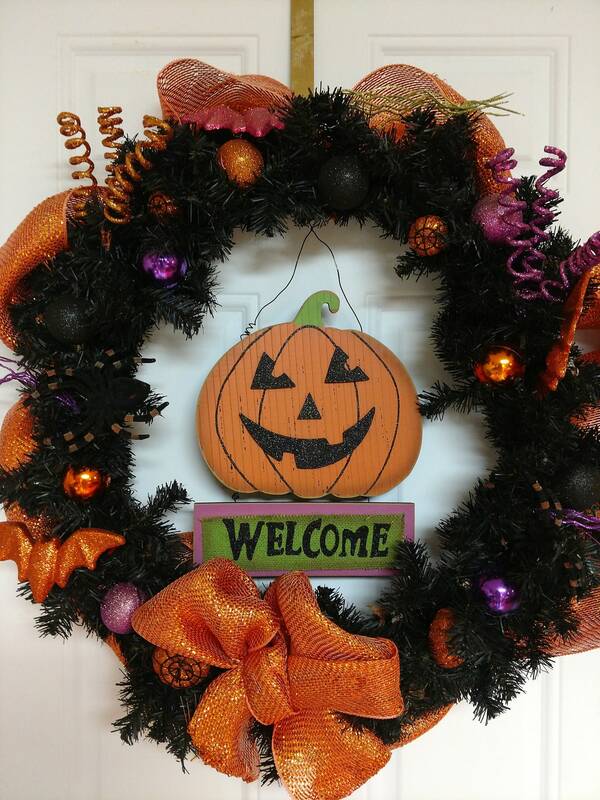 The finishing touch being the wooden smiling jack-o-lantern in the center of the wreath welcoming your guests. 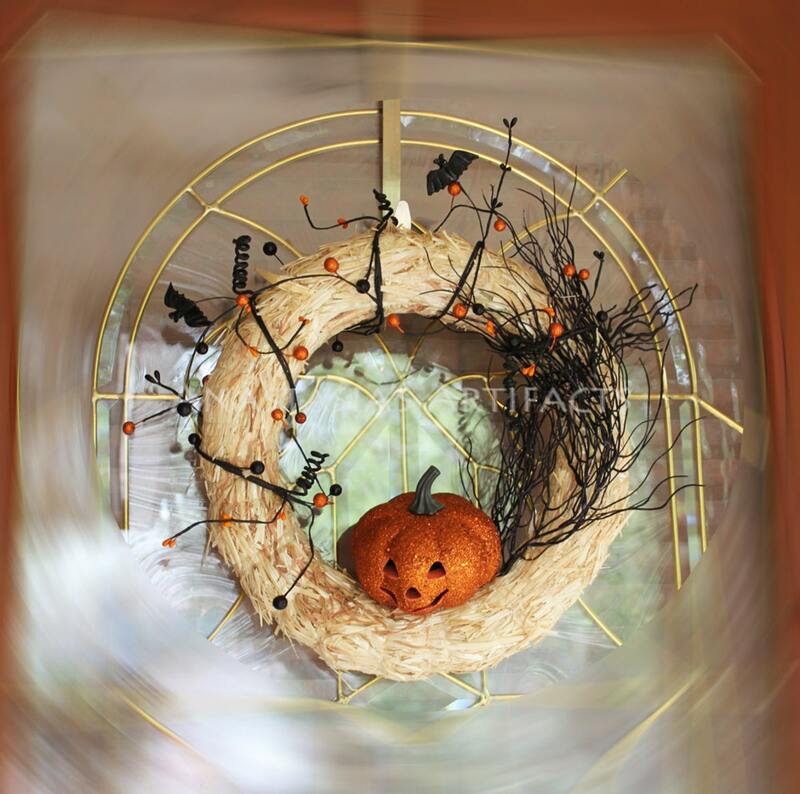 This Halloween wreath is made from a 14″ straw wreath base. Includes metal hanger attached to back. The Jack-O-Lantern does, indeed, light up with a multi-colored changing light. He is attached to the wreath by two wooden sticks sticking into the straw. Gently lift him up from his base to access the switch and change the batteries. Manufacturer’s instructions included.